Dinnerware Thali Set of plate (Thali Set), bowls, tumbler, spoon.A Thali Set is a round platter with an eared rim. Entire meals can be served using this simple plate. 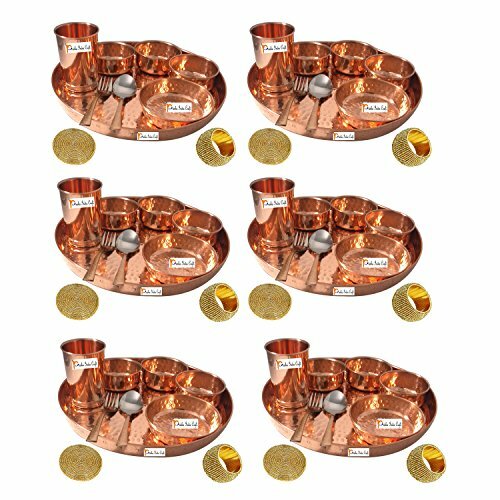 The Thali Set is generally made with copper. Other dishes served on a Thali Set include vegetables, yogurt, chutney, and pickles! Each Tumbler Volume: 350 ML / 8.4535 oz ; weight: 80 grams, Height: 4", Diameter: 2.9"